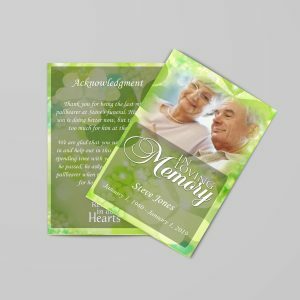 To create funeral program, Funeral programs are an essential piece to the funeral service because they provide a tangible piece of history and memorial of the loved one even long after the funeral service has ended. 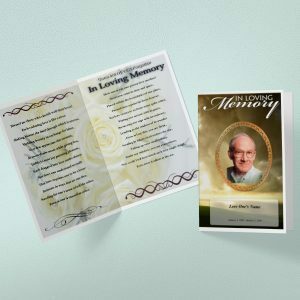 Creating a memorial program or create funeral program for a loved one’s memorial service needn’t be time-consuming or difficult. 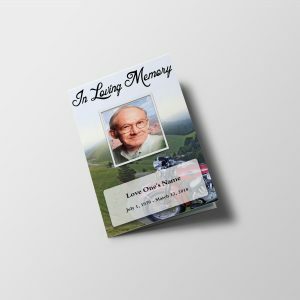 Funeral programs are an essential piece to the funeral service because they provide a tangible piece of history and memorial of the loved one even long after the funeral service has ended. 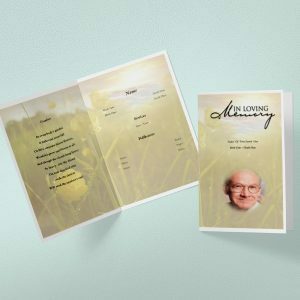 Generally, the funeral program is a two-page layout within our funeral templates with the page one being the front and back cover of the program. 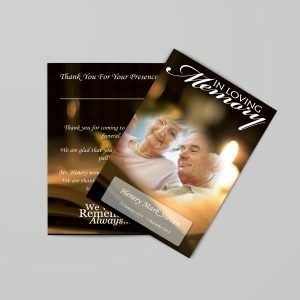 Why use Funeral Program Templates? Page two is the inside page for the program. 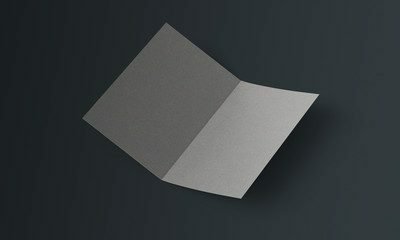 Creating a single fold, letter size program is the best option because this size paper is readily available at any office supply store. You can also choose from varying weights and colors. This process and amount of time in creating a funeral program within the Microsoft Word application will vary depending on your knowledge and ease within the program. 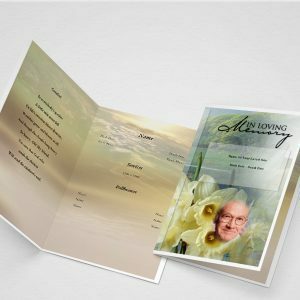 If you choose to create a funeral program from scratch or a blank canvas, it does take a considerable amount of time to do verses utilizing a funeral program template. 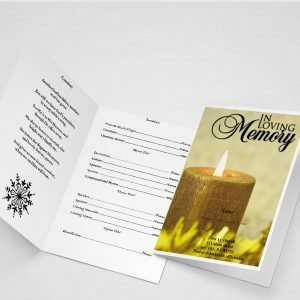 For organizing a memorable funeral service, you will require a well documented and well-formatted funeral programs or funeral brochures. 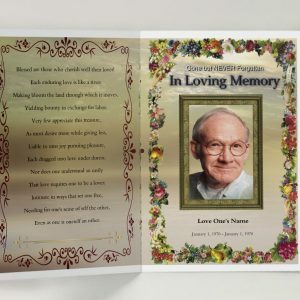 To create funeral program, you may be thinking of using free funeral program templates – you can use it, but we will not recommend as those templates are just basic templates for funeral programs. They never come with beautiful cliparts and other elements, which make the programs more professional. So what are you waiting for? 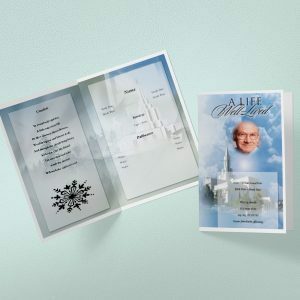 QuickFuneral.com Provides self-editable and self-printable funeral program template which you can use to create the funeral programs online. 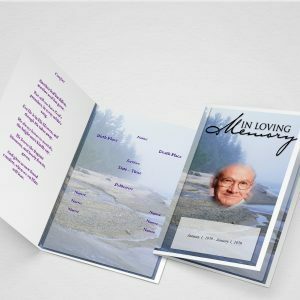 These templates are pre-formatted with all sections, such as an elegant cover page having added funeral sentiments, a cover photo, dates section. The inner pages will contain a left side and a right section. There you will find pre-added funeral poems, the order of service section. You are free to add your own text or even delete a section if not needed. The back cover section comes with funeral thank you message section and other required information regarding funeral service, such as funeral home address, timings etc. 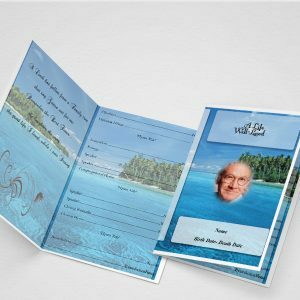 For the process of create funeral program, Once you are done, download a free sample PDF of your work to verify, everything fits. If there is something not correctly formatted – you can contact us using live chat option or through email or call. We will fix it without any extra charges. Click on Download Printable button to get your HD PDF file ready to print. Don’t forget to recommend us in funeral homes and in your network. Thanks!